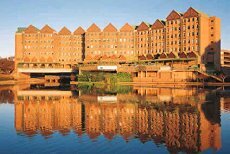 Whether it is due to excellent location, tranquil setting or the fact that the Centurion Lake Hotel is easily accessible from Johannesburg International Airport, this charming hotel has increasingly become the preferred accomodation for business executives countrywide. Forming part of the Legacy Hotels & Resorts portfolio of four and five star properties, this charming hotel is the only full service luxury hotel in the heart of Centurion. Superior accommodation, superb cuisine and fine service have also resulted in Centurion Lake Hotel becoming one of Gauteng's most popular conference venues. Overlooking the waters of Centurion Lake and adjacent to the Centurion shopping centre, this premier establishment has six excellent fully-equipped conference rooms accommodating up to 250 delegates in stylish comfort. Centurion Lake Hotels 160 beautifully appointed rooms include air-conditioning, DSTV and room service, providing the perfect home from home. For casual dining with first-class standards of service and attention to detail, Lords Restaurant provides a full buffet breakfast and extensive à la carte lunch, snack and dinner menus. 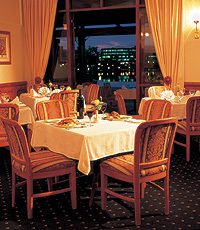 The Centurion Lake Hotel has also become a favourite spot for conducting informal business meetings with many executives choosing to meet over lunch on the Terrace, where light meals are served daily.